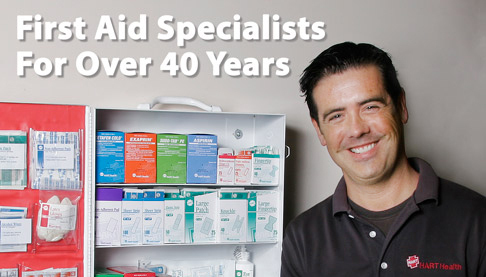 van-delivered first aid supplies and world-class first aid equipment delivery at great value. while minimizing the expense of illness or injury with our first aid products. Our national first aid van service currently covers Seattle, Portland and Denver, with more metro areas to come in the future! Call us today at 800-234-HART for more information! Copyright © 2014 HART Health®. All rights reserved.